These are lyrics by Finch that we think are kind of repetitive. This line is repeated 10 x throughout the song. Stop screaming those words already! You keep asking, but I can't answer because you're strangling me! 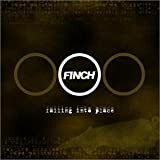 Finch's, "What It Is To Burn"
This line is repeated sooo much throughout the song. Good one though.